Want to Celebrate Like a German? PIN IT FOR LATER!! 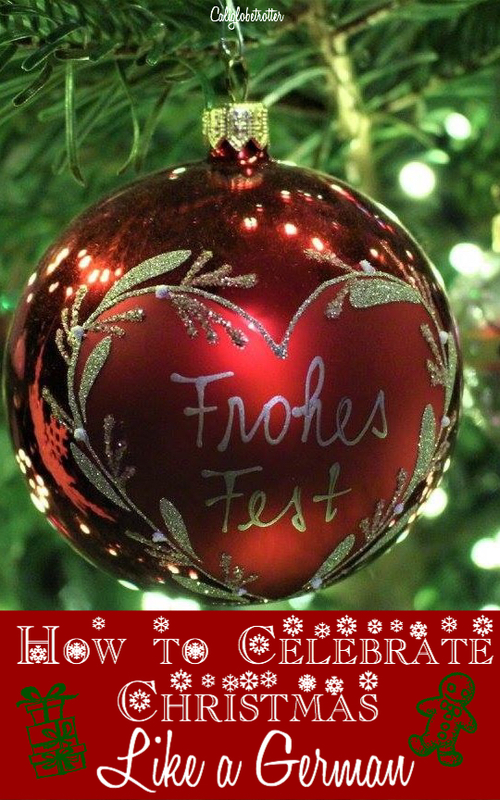 Here, I share with you tips for how to have a German Christmas from my own personal experience of living in Germany and following in my German family traditions! Everyone stocks up on store bought Glühwein to pre-drink before they get to Christmas markets as it’s generally cheaper. It’s also nice to have around the house during the holiday season. 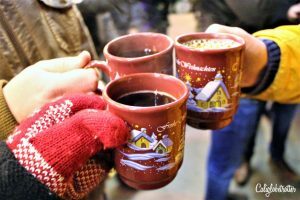 If you go to a Christmas market, be sure to try the different varieties as there are both red and white mulled wines. If you feel like going crazy, try a Feuerzangenbowle which is Glühwein with rum that is then lit on fire. Nothing kicks off the holiday season like preparing weeks, even months in advance for the massive Plätzchen (Christmas cookies) baking season! Some recipes literally require preparing dough 1+ months out! Once made, everyone gives and receives homemade Christmas cookies in an endless circle and come in a beautifully wrapped baggie or a tin box! Buy yourself a German cookies cookbook and learn how to make proper German Plätzchen. 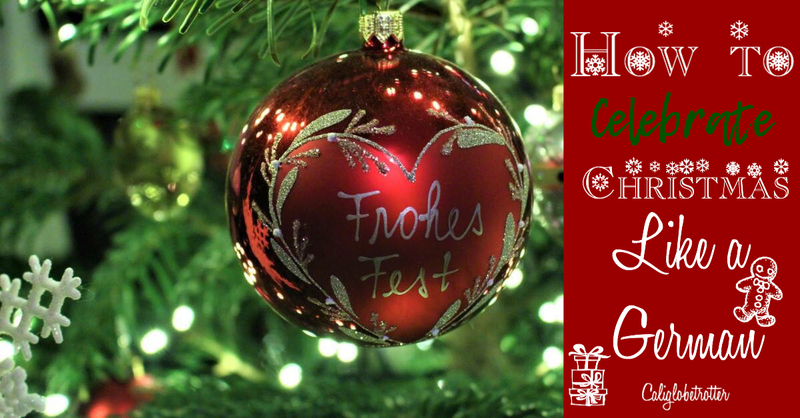 Go To A Weihnachstmarkt At Least Once…Maybe more! 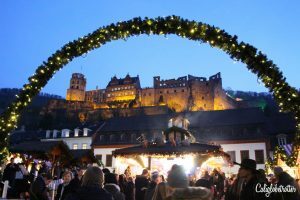 No Christmas holiday season is complete without visiting any one of the fairy tale Christmas Markets in Germany to buy gifts, drink Glühwein and just come together to socialize with friends and family, living in the moment. Visiting a German Christmas Market is what childhood dreams are made of, that perfect sense of holidayness! 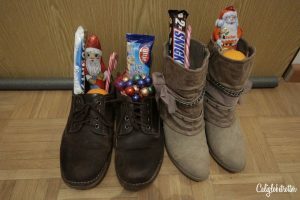 One of the main Christmas days all Germans celebrate is on the evening of December 5th, by putting a clean shoe outside their door for Nikolas and his evil sidekick Knecht Rupert to come and put some goodies into it such as oranges, chocolate and nuts. Nikolas is the equivalent to Santa Claus. 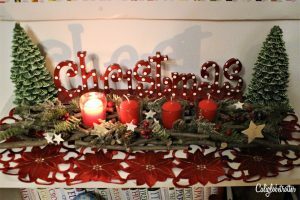 An important part of the holiday season is the four weeks of Advent where Germans light a candle, one a week every Sunday, the four weeks prior to Christmas on an Adventskranz (wreath). No German household is complete without one! It is quite common to receive a chocolate filled Advents calendar for each day prior to Christmas day. Lighting a candle every Sunday throughout the four-week-long “Adventszeit” or Advent is a tradition that dates back to the Romans and always begins on the fourth Sunday before Christmas. Being German means that at Christmas time, you make your own Advents wreath. Everyone goes to Depot or Hanu Nana to stock up on ribbon, candles and other embellishments to make a new wreath each year. Germans are wild about their Advents Calendars. While it is once again becoming popular in the US, here, it’s been a thing before it was a thing. 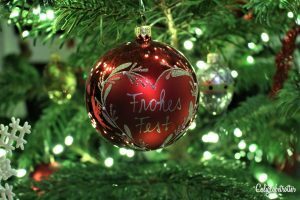 You can find Advents calendars in a various shapes and sizes, predominantly filled with a variety of chocolates behind 24 doors to count down the days to Christmas – a German tradition that dates back to 1908! 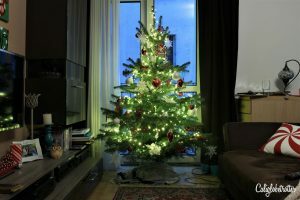 To truly celebrate Christmas like a German, it is tradition to wait until a few days before December 24th to buy your tree. 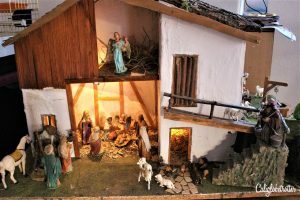 It is more traditional to usually set it up and decorate it on the morning of the 24th, on the main Christmas day. No Santa Claus here, but instead the Christkind is responsible for bringing gifts to children. Then leave your tree up until at least Jan. 6th. After decorating the tree, the room where the tree has been set up is locked and the children are not to enter the room again until a Christmas bell has been rung, signaling that it is time to open the gifts from the Christkind. No peaking allowed! Christmas Markets have more of a purpose than just drinking Glühwein and meeting with friends. It’s a place to stock up on your newest addition to you Nativity Scene that is set up along with the Christmas tree. Families get really creative when building their own mini Nativity Scene. While you may find gargantuan Weihnachtspyramide at the Christmas Markets, you can also find some smaller ones to take home as Christmas decoration. This is a medieval traditional predominantly found in southern and western Europe and has candles or lights which is considered to be the predecessor to the Christmas tree. 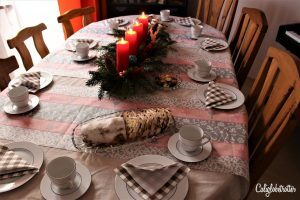 Before getting around to eating Christmas dinner, the family comes together and instead of coffee and cake, they pull out the Glühwein and the Stollen which is a traditional Christmas fruit bread covered in powdered sugar. Traditional Christmas dinner doesn’t involve a massive Christmas turkey and loads and loads of side dishes. 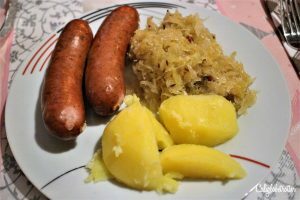 Instead, Germans prefer a more simple dinner of sausages, sauerkraut and potatoes on Heiligabend (Christmas Eve). Can’t get any more German than that! However, it’s not just because Germans are sausage loving fanatics, but because it’s meant to remember the poverty of Mary and Joseph searching for a place to sleep on the night Christ was born. Some might eat even lighter meals or completely fast. Other families are known to celebrate with fish or even a stew. Later, on Dec 25th or 26th the big family gathering takes place and a goose or duck is cooked. 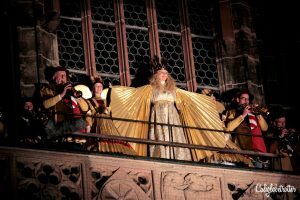 The Christmas season doesn’t officially end in Germany on Christmas, but instead on Epiphany – January 6th. On this day, the children dress up as the Three Wise Men who visited Jesus in the manger and they go from door to door singing traditional songs. Make your own Christmas special by adding some German traditions to your holiday season by making your own German Plätzchen and lighting a candle every Sunday during the Advent season! The Cookie Advent Cookbook and the Advents Christmas Wreath come highly recommended from yours truly and from personal use! How do YOU celebrate Christmas in your country?? 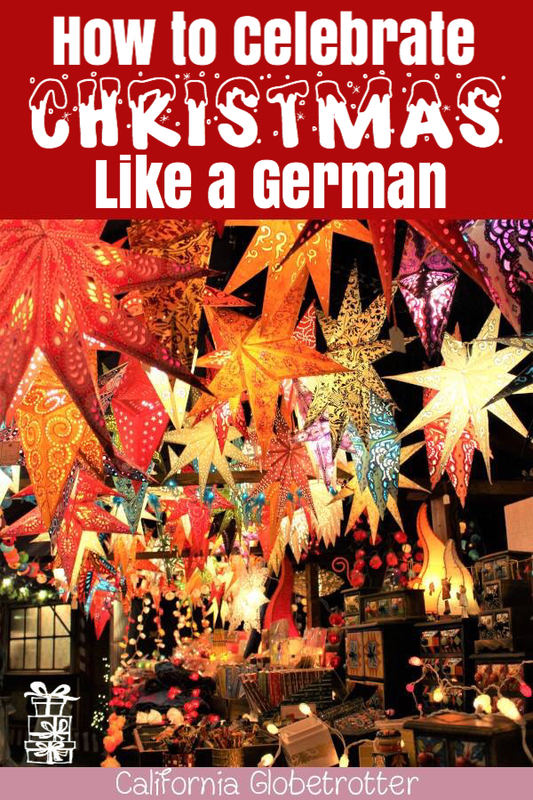 EVERYTHING You Need to Know About German Christmas Markets!! Well in Ireland we celebrate on Dec 25th. Normally opening presents from Santa in the morning, then going to Christmas mass, visiting friends and then having a big family dinner with turkey, stuffing, roast vegetables followed by Christmas pudding, cake and mince pies. Sounds pretty similar to American Christmas! Except the Mince pies which a British friend of mine just sent me! They’re delicious!! Growing up in Australia with German parents and relatives, we always celebrated the German way. I never celebrated an Australian Christmas until my teens. I forgot about the clean shoe on the 6th. Thanks for reminding me. Glad I could bring back some memories! What an amazing post! This has helped complete my 8 year old sons school project on Christmas in Germany. Thank you!! !